The rational choice approach has become more prevalent in many disciplines in recent years. The rational choice theory of neurosis maintains that patients consciously and deliberately adopt neurotic disorders when confronted with intolerable levels of stress. Despite the striking differences, rational choice theory of neurosis continues Freud's framework of thinking as it employs a new concept of repression. According to this new theory, all therapies exert their effect either by disrupting patients’ ability to preserve unawareness, increasing the cost of the symptom, decreasing the patient’s emotional distress, or eliminating the stressor. Repression is defined as a conscious coping mechanism by which the individual deliberately employs distractive measures to eliminate stress-related thoughts from attention in this theory. This article aims to review the definition of rational choice theory and its integrative therapeutic approach in psychiatry. Rasyonel seçim yaklaşımı son yıllarda pek çok disiplinde yaygın olarak kullanılmaya başlanmıştır. nevrozların rasyonel seçim teorisi, hastaların dayanılmaz stres seviyeleri ile karşı karşıya kaldıklarında bilinçli ve kasıtlı olarak nevrotik bozuklukları ortaya çıkardığını savunur. Çarpıcı farklılıklara rağmen, nevrozların rasyonel-seçim teorisi, yeni bir represyon kavramı kullanmakla birlikte Freud’un düşünce çerçevesini sürdürür. Bu yeni teoriye göre, tüm terapiler etkilerini ya hastaların farkındalık yokluğunu ortadan kaldırmak, belirtilerin maliyetini arttırmak, hastanın duygusal sıkıntısını azaltmak ya da stres faktörünü ortadan kaldırmak suretiyle gösterirler. Bu teoride birey stresle ilgili düşünceleri dikkat çekmeden ortadan kaldırmak için bilinçli olarak dikkat dağıtıcı önlemler kullanır ve represyon bilinçli bir başa çıkma mekanizması olarak tanımlanır. Bu makalede rasyonel seçim teorisinin psikiyatride tanımı, bütüncül yaklaşımı, en sık uygulama alanları ve tedavide kullanımını gözden geçirmek amaçlanmıştır. Anderson MC (2005) The role of inhibitory control in forgetting unwanted memories: A consideration of three methods. In Dynamic Cognitive Processes (Eds N Ohta, C MacLeod, B Uttl):159–189). Tokyo, Japan, Springer-Verlag. Anderson MC, Green C (2001) Suppressing unwanted memories by executive control. Nature, 410:366–369. APA (1980) Diagnostic and Statistical Manual of Mental Disorders, Third edition (DSM-III). Washington, DC, American Psychiatric Association. APA (2000) Diagnostic and Statistical Manual of Mental Disorders, Fourth edition text revision (DSM-IV-TR). Washington, DC, American Psychiatric Association. APA (2013) Diagnostic and Statistical Manual of Mental Disorders, 5th edition (DSM-5). Washington, DC, American Psychiatric Association. Bandura A (1969) Principles of Behavior Modification. New York, Holt, Rinehart & Winston. Beck AT (1988) Cognitive approaches to panic disorder: theory and therapy. In Panic: Psychological Perspectives (Eds S Rachman, JD Maser). Hillsdale, NJ: Erlbaum. Blanchard EB, Hersen M (1976) Behavioral treatment of hysterical neurosis: symptom substitution and symptom return reconsidered. Psychiatry, 39:118-129. Blaney PH (1986) Affect and memory: a review. Psychol Bull, 99:229–246. Bliss EL (1980) Multiple personalities. Arch Gen Psychiatry, 37:1388–1397. Bowers KS, Woody EZ (1996) Hypnotic amnesia and the paradox of intentional forgetting. J Abnorm Psychol, 105:381–390. Branch H, Eurman LJ (1980) Social attitudes toward patients with anorexia nervosa. Am J Psychiatry, 37:631–632. Bruch H (1978) The Golden Cage: The Enigma of Anorexia Nervosa. Cambridge, MA, Harvard University Press. Carson RC, Butcher JN, Coleman JC (1988) Abnormal Psychology and Modern Life, 8th ed. New York, Harper Collins. Christopher G, Mac Donald J (2005) The impact of clinical depression on working memory. Cogn Neuropsychiatry, 10:379–399. Clark DM (1986) A cognitive approach to panic. Behav Res Ther, 24: 461–470. Denys D, de Geus F, van Megen H, Westenberg HGM (2004) Symptom dimensions in obsessive–compulsive disorder: factor analysis on a clinician-rated scale and a self-report measure. Psychopathology, 37:181–189. Eich E (1995) Mood as a mediator of place dependent memory. J Exp Psychol Anim Learn Cogn, 124:293–308. Eich E, Macaulay D, Ryan L (1994) Mood dependent memory for events of the personal past. J Exp Psychol Anim Learn Cogn, 123:201–215. Erdelyi MH (2001) Defense processes can be conscious or unconscious. Am Psychol, 56:761–762. Erdelyi MH (2006) The unified theory of repression. Behav Brain Sci, 29:499-551. Erickson K, Drevets WC, Clark L, Cannon DM, Bain EE et al. (2005) Mood-congruent bias in affective go/no-go performance of unmedicated patients with major depressive disorder. Am J Psychiatry, 162:2171–2173. Freud A (1936) The Ego and the Mechanisms of Defense. New York, NY, International Universities Press. Freud S (1914) On the history of the psychoanalytic movement. In The Standard Edition of the Complete Psychological Works of Sigmund Freud (Ed J Strachey). London, Hogarth Press. Freud S (1915) Repression. In The Standard Edition of the Complete Psychological Works of Sigmund Freud (Ed J Strachey):141-158. London, Hogarth Press. Garner DM (1986) Cognitive therapy for anorexia nervosa. In Handbook of Eating Disorders: Physiology, Psychology and Treatment of Anorexia and Bulimia (Ed KD Brownell, JP Foryet). New York, NY, Basic Books. Geraerts E, McNally RJ (2008) Forgetting unwanted memories: directed forgetting and thought suppression methods. Acta Psychol, 127: 614–622. Gottlob LR, Golding JM, Hauselt WJ (2006) Directed forgetting of a single item. J Gen Psychol, 133:67–80. Gönültas B, Oral G, Beyaztas G (2015) Cinsel istismarları açıklayan teorilerin suç soruşturmaları bağlamında irdelenmesi. Türkiye Adalet Akademisi Dergisi, 6(21):79-104. Green Ѕ (2002) Rational Choice Theory: An Overview. Baylor, US, Baylor University. Greenfeld DG, Anyan WR, Hobart M, Quinlan DM, Plantes M (1991) Insight into illness and outcome in anorexia nervosa. Int J Eat Disord,10:101–109. Holmes DS (1974) Investigations of repression: differential recall of material experimentally or naturally associated with ego threat. Psychol Bull, 81:632-653. Holmes DS (1990) The evidence for repression: an examination of sixty years of research. In Repression and Dissociation: Implications for personality theory, psychopathology, health (Ed JL Singer). Chicago, University of Chicago Press. Horowitz LM (2004) Interpersonal Foundations of Psychopathology. Washington, DC, American Psychological Association. Hourihan, Gottlob KL, Taylor TL (2006) Cease remembering: control processes in directed forgetting. J Exp Psychol: Hum Percept Perform, 32:1354–1365. Jones MM (1980) Conversion reaction: anachronism or evolutionary form?aA review of neurologic,behavioral and psychoanalytic literature. Psychol Bull, 87:427-441. Kozak MJ, Foa EB (1994) Obsessions, overvalued ideas, and delusions in obsessivecompulsive disorder. Behav Res Ther, 32:345–353. Kuloglu M, Atmaca M, Tezcan E, Gecici O, Bulut S (2003) Sociodemographic and clinical characteristics of patients with conversion disorder in eastern Turkey. Soc Psychiatry Psychiatr Epidemiol, 38:88–93. Lang AJ, Craske MG, Brown M, Ghaneian A (2001) Fear-related state dependent memory. Cogn Emot, 15:695–703. Leonard WE (1927) The Locomotive God. New York, Appleton-Century. Levy BJ, Anderson MC (2008) Individual differences in the suppression of unwanted memories: the executive deficit hypothesis. Acta Psychol, 127:623–626. Malamud W (1944). The psychoneuroses. In Personality and the Behavior Disorders: A Handbook Based on Experimental and Clinical Research (Ed JM Hunt). New York, NY, Ronald. Masserman, JH (1946) Principles of Dynamic Psychiatry. Philadelphia, WB Saunders Company. Mialet JP, Pope HG, Yurgelun-Todd D (1996) Impaired attention in depressive state: a non-specific deficit? Psychol Med, 26: 1009–1020. Krstić M (2014) Rational choice theory and addiction behavior. Trziste, 24:163-177. Pearce SA, Isherwood S, Hrouda D, Richardson PH, Erskine A, Skinner J (1990) Memory and pain: tests of mood congruity and state dependent learning in experimentally induced and clinical pain. Pain, 43:187–193. Pilecki BC, Clegg JW, McKay D (2011) The influence of corporate and political interests on models of illness in the evolution of the DSM. 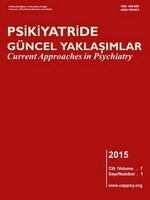 Eur Psychiatry, 26:194-200. Porzelius LK, Berel S, Howard C (1999) Cognitive behavioral therapy. In Handbook of Comparative Interventions for Adult Disorders (Eds M Hersen, AS Bellack):491–512. New York, NY, Wiley. Pryor TL, Johnson T, Wiedrman MW, Boswell DL (1995) The clinical significance of symptom denial among women with anorexia nervosa: another disposable myth? Eat Disord, 3:293–303. Putnam FW, Guroff JJ, Silberman EK, Barban L, Post RM (1986) The clinical phenomenology of multiple personality disorder: a review of 100 recent cases. J Clin Psychiatry, 47:285–293. Rofé Y (2000) The Rationality of Psychological Disorders: Psychobizarreness Theory. New York, NY, Kluwer Academic Publishers. Rofé Y (2008) Does repression exist? Memory, pathogenic, unconscious, and clinical evidence. Rev Gen Psychol, 12:63-85. Rofé Y (2010) The rational-choice theory of neurosis: Unawareness and an integrative therapeutic approach. J Psychother Integr, 20:152-202. Rofé Y (2016) Which diagnostic approach ıs more valid? the DSM or the rational-choice theory of neurosis. Int J Psychol Stud, 8:98-110. Rofé Y, Rofé Y (2013) Conversion disorder: a review through the prism of the rational-choice theory of neurosis. Eur J Psychol, 9:832-868. Rofé Y, Rofé Y (2015) Fear and phobia: a critical review and the rational-choice theory of neurosis. Int J Psychol Stud, 7:37-73. Rose EJ, Ebmeier KP (2006) Pattern of impaired working memory during major depression. J Affect Disord, 90:149–161. Samuels J, Bienvenu OJ, Riddle MA, Cullen BAM, Grados MA, Liang KY et al. (2002) Hoarding in obsessive-compulsive disorder: results from a case-control study. Behav Res Ther, 40:517-528. Shevrin H, Dickman S (1980) The psychology of unconscious: a necessary assumption for all psychological theory? Am Psychol, 35:421–434. Simon HA (1978) Rationality as process and as product of thought. Am Econ Rev, 68:1-16. Smith SM, Vela E (2001) Environmental context-dependent memory: a review and meta-analysis. Psychon Bull Rev, 8: 203–220. Sunday SR, Halmi KA, Einhorn A (1995) The Yale-Brown-Cornell eating disorder scale: A new scale to assess eating disorders symptomatology. Int J Eat Disord, 18:237-245. Tremblay S, Nicholls AP, Parmentier FBR, Jones DM (2005) Visual distraction and visual-spatial memory: a sandwich effect. Memory, 13:357–363. Vitousek KB, Hollon SD (1990) The investigation of schematic content and processing in eating disorders. Cognit Ther Res, 14:191–214. Wagstaff GF, Frost R (1996) Reversing and breaching posthypnotic amnesia and hypnotically created pseudomemories. Contemp Hypn, 13:191–197. Welkowitz J, Welkowitz LA, Struening E, Hellman F, Guardino M (2004) Panic and comorbid anxiety symptoms in a national anxiety screening sample: implications for clinical interventions. Psychotherapy (Chic), 41:69-75. Wolach I, Pratt H (2001) The mode of short-term memory encoding as indicated by event-related potentials in a memory scanning task with distractions. Clin Neurophysiol, 112:186–197.